KUALA LUMPUR, 20 JUN 2007 - Agensi Kaunseling dan Pengurusan Kredit (AKPK), today signed a memorandum of understanding - MOU with Jabatan Latihan Khidmat Negara (JLKN) to provide Personal Financial Management Programme to all National Service trainees' for the 3rd batch of the new intake. The signing ceremony was witnessed by YAB Dato' Sri Mohd Najib bin Tun Hj Abdul Razak, Deputy Prime Minister of Malaysia. AKPK was represented by Chief Executive Officer, Encik Mohamed Akwal Sultan, whilst JLKN was represented by Encik Abdul Hadi Awang Kechil, the Director General. Personal Financial Management Programme is one of AKPK's Financial Education Programme initiated to ensure that Malaysians continue to be prudent in their spending as well as be financially savvy and to avoid being in financial distress. The programme was a result of several meetings held between JLKN and AKPK recently. The main objective of this programme is to provide the trainees with basic knowledge and skills on personal financial management, understanding their sources of funds, to have better appreciation of their money, to create a sense of responsibility and accountability towards their parents as well as to help trainees to plan and to manage their spending by making smart financial choices. "It is our objective to make prudent financial management a way of life for all Malaysians, therefore providing early financial education is important. The platform given by JLKN through this collaborative programme will certainly provide our youngsters the appropriate exposure required to be prudent in managing their finances", said Mohamed Akwal Sultan, Chief Executive Officer AKPK. 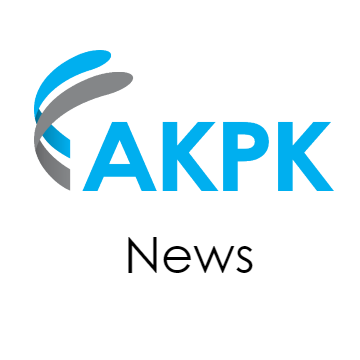 "JLKN is very pleased with the services offered by AKPK and therefore we have agreed to include this additional programme on Personal Financial Management for all National service trainees. The module provided by AKPK is beneficial in developing a well rounded and responsible young Bangsa Malaysia, inculcating smart money management ", added Encik Abdul Hadi Awang Kechil, Director General of JLKN. The first phase of the Personal Financial Management Programme is targeted to over 20,000 trainees under the Group 3, Series 4, 2007. The programme will kick off simultaneously nationwide in July and August 2007.